Remembrance Day is soon upon us, and this year we are looking at movies set during World War II, though none of them would be placed in the category of “war movie.” They are all, however, very good films. 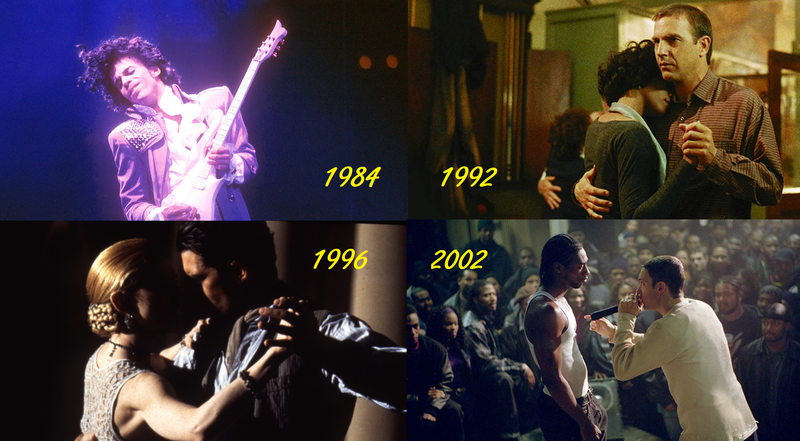 Which one do you think should be our movie of the week? The Wicked Witch of the West just got me! …and my little dog too!! So there are times when I do something to embarrass myself—and it’s really not necessary to tell you just how often this happens—and then there are times when I really wonder if there’s an angry, green-faced woman out there somewhere using her magic and flying monkeys to sabotage an entire day for me. It all started with the dangerous mixture of Troy Carruthers + Air Canada + circumstance. The plan was I would fly to Toronto where Onsite Restorations technicians from across Canada would come together for a small conference. I set my alarm for 3:00 AM (Maybe that’s where things went wrong. Isn’t that the “bewitching hour”” or something?). And because I live in the Maritimes, flights have to leave in the middle of the night. And when you return, that’s in the middle of the night too. So I get out of bed at 3:15. I eat a little. I make a coffee. I kiss Joybells. I leave for Moncton. I arrive at the airport, go through security and wait patiently for my boarding time. Just as the announcement is made that the flight for Toronto is boarding shortly, I look at my ticket and see the initials YSJ. Isn’t that Saint John?… I WENT TO THE WRONG FREAKING CITY! So I got to the ticket counter, received my fifty lashings and got back on the road. A small nap in Sussex and then it’s on to the Loyalist City to get on the next available plane heading to Toronto. When we land I have to use the bathroom. Bad. But I’m at the very back of the plane and there’s only one bathroom…at the very front of the plane. It was a full flight and everyone had to stand in the aisle and haul down their twelve carry-on suitcases—most likely for a two-day stay. Then, of course, they’d proceed to put their jackets on in a manner that suggested it was a new and complicated practice to which they were slowly adjusting. My bladder’s power of perseverance was being tested like a bowlegged rookie quarterback in August. I’m also on the window seat being blocked in by a guy with a chin-strap beard with what looked like a devil’s horn on the tip of his chin. Just a weird situation to be in. Now fastforward to dinner out with all the technicians and their significant others. Four of us had arrived a half hour early, so we sat at the bar and waited. I spilled my drink from pouring it into my glass too fast, which happens to the best of us. So, no big deal. But then the unthinkable happened. I closed my mouth instinctively, but those deucey lungs laughed at my efforts. In a matter of one millisecond I was doing a Jack Tripper style spit take. (If you’ve never heard of the term “spit take,” take some time to throw the term into your Google machine. You’ll recognize it right away.) But it was far more animated than what Jack tripper would have given us in the late 70’s. It sounded like I was trying imitate the sound of a trumpet blast while it was raining on the bar. It wasn’t your typical embarrassing PFFFFFFFT! No, I held that note for what seemed like an eternity. Like an excited elephant who was taking his time to express his feelings. I buried my head down in front of me and tried to save face by allowing my mouth to leak the rest onto my hoodie and jeans, slowly but voluminously. Yes, that should take care of it. Honestly everyone, I don’t know double-you-tee-eff was going on. It had to be the witch. I’m sure she was cackling somewhere. And I haven’t even worn ruby slippers in like… weeks! But the good news is, she didn’t get my little dog. Toto and my dog Lucy have a lot in common. They’re both small, black, cute and can’t speak English. They’re different, however, in that Toto made a ton of money—more than Judy Garland did—whereas Lucy usually just costs me money. Still, I’m glad to say the dog is safe. While sitting in the Toronto Pearson Airport pondering the stellar rep I just established with my fellow highly skilled Onsite Restorations technicians, I texted Joy and she assured me that Lucy was, indeed, safe and sound. In fact, she keeps flirting with my daughter’s boyfriend! I guess she made it through the witch attack much better than I did. Congratulations WWOTW and The Wizard of Oz. This is your week. Best Actress: Emma Watson as Hermione Granger in the Harry Potter series. 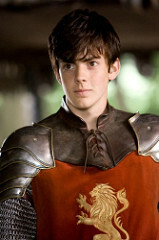 Best Actor: Skandar Keynes as Edward Pevensie in The Chronicles of Narnia: The Lion, the Witch and the Wardrobe. Wouldn’t it be cool if this actor changed his last name to Akbar?? Best Quote: “Stay a child while you can be a child.” — Meryl Streep as the witch in Into the Woods. 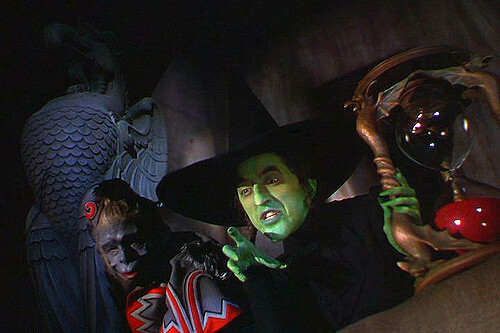 We’re going to choose our favourite movie witch this week. It doesn’t have to be based on which is the “most iconic,” seeing as Oz would probably win with ease. 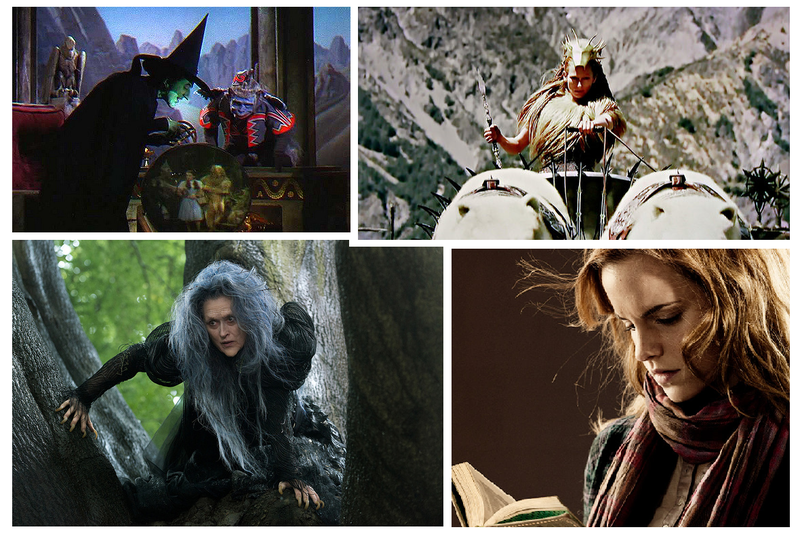 Just pick your favourite witch, or her movie, for whatever reason you wish. What We Do in the Shadows (2014) — I saw this on Netflix, and it’s a mockumentary that you’ve just got to see! Congratulations Teen Wolf. This is your week. Best Actress: Michelle Pfeiffer as Laura Alden in Wolf. Best Actor: Michael J. 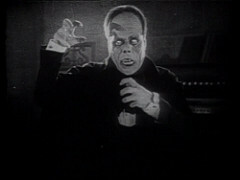 Fox as Scott Howard in Teen Wolf. Best Quote: “A naked American man stole my balloons.” — A little boy in An American Werewolf in London. And I have to say that Teen Wolf fits in just about every one of the above categories for me. 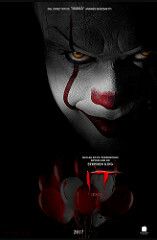 I love that movie and it’s a definite recommendation for this years Halloween movie viewing. 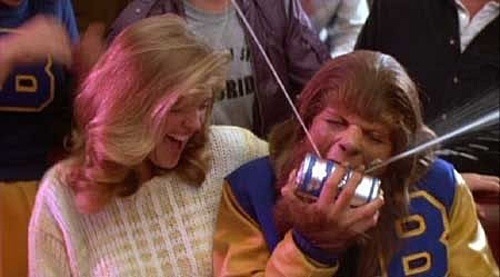 Halloween is upon us, so how about some werewolf movies? There is only one of the following picks that I wasn’t crazy about, but they’re amoung the best of the genre if we do not include the original Wolfman movie or the Twilight series (which I know are highly debated on how “good” they are). Which one is your pick? Owooooooooooooo! “I hate Bryan Adams!” I was surprised to hear my friend say this, especially since we are pretty close in age. He said followed up with the idea that Mr. Adams is a terrible writer, to which I wanted to object seeing how he practically recorded the soundtrack for my adolescent years. But after reviewing different songs of his I had to agree. It’s not exactly his strong suit. I did insist that “Summer of ‘69” was an exception, but he corrected me on that. Adams only co-wrote the song. WORST: “Should’ve known you was trouble from the first kiss. You had your eyes wide open. Why were they open?” — Bruno Mars, Grenade. Why do I put up this fight, why do I still write? now you get to watch her leave out the window. And the sign said, the words of the prophets are written on the subway walls” — Simon and Garfunkel, The Sound of Silence. WORST: “Me not working hard? Yeah Right! Take a picture of me with a Kodak.” — Pit Bull, Give Me Everything. So someone told you that you didn’t work hard, Pitbull? Well, you sure showed them! I’m glad they weren’t accusing you of being incoherent. WORST: “Don’t push the blade on the guy in shades, oh no. Don’t masquerade with the guy in shades, oh no. I can’t believe it! ‘Cause you got it made with the guy in shades, oh no.” — Corey Hart, Sunglasses at Night. I guess I’m a little confused with his instructions about the guy in shades. And why, in the middle of said instructions, he stops to declare that he can’t believe it. 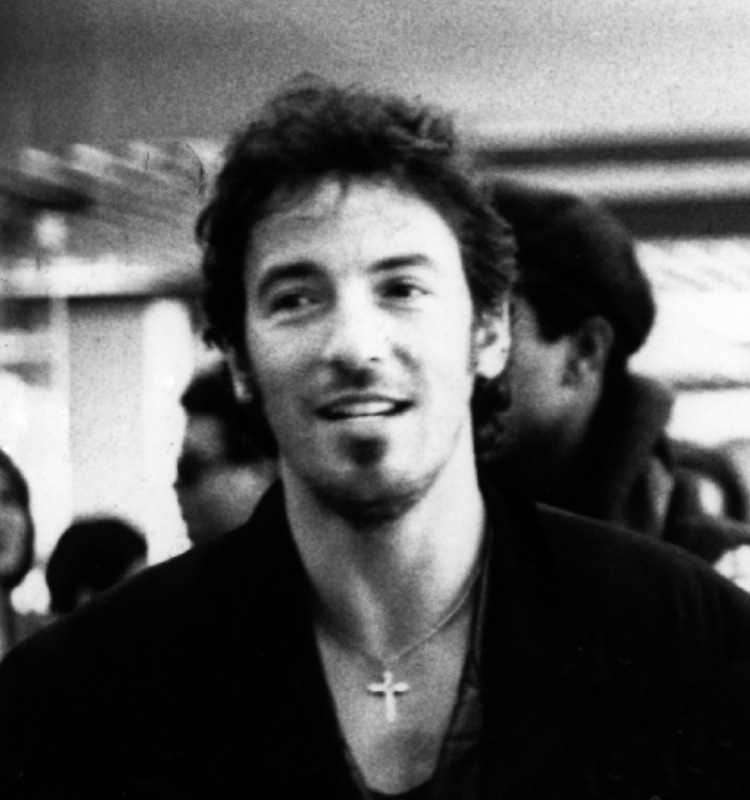 It was just as black and whispering as the rain on the streets of Philadelphia.” — Bruce Springsteen, Streets of Philadelphia. I’m not sure the Boss gets the recognition he really deserves. His voice, his word choices, his verbal images… he’s pretty amazing. As long as we abuse it, never gonna lose it, everything’ll work out right” — Men Without Hats, The Safety Dance. I do love that song, but I’m pretty sure abusing anything never leads to thing working out just fine. WORST: “F***’n magnets, how do they work?” — Insane Clown Posse, Miracles. It’s not a miracle guys, it’s science. WORST: “Some people call me Maurice because I speak of the pompitous of love.” — Steve Miller Band, The Joker. Not a word Steve. There’s rumour you meant to write “puppetutes,” but I’m pretty sure that one’s not either. Congratulations The Bodyguard. This is your week. Best Actress: Madonna as Eva Perón in Evita. Best Actor: Kevin Costner as Frank Farmer in The Bodyguard. Music is definitely not my forté. And really, neither is English because I barely understand what the word forté actually means. But those are my picks. I’d love to hear yours. Tonight Joy and had enough Scene Points to watch a free movie, and we picked A Star Is Born starring Lady Gaga and Bradley Cooper. It was a pretty awesome movie! So I thought tonight we could look at movies that have musical artists playing major roles. Which one would you pick to be this week’s movie?